Impervious to rain and almost indestructible. Spacious, yet not too big or too heavy. Convenient to carry in hand or on the shoulder. 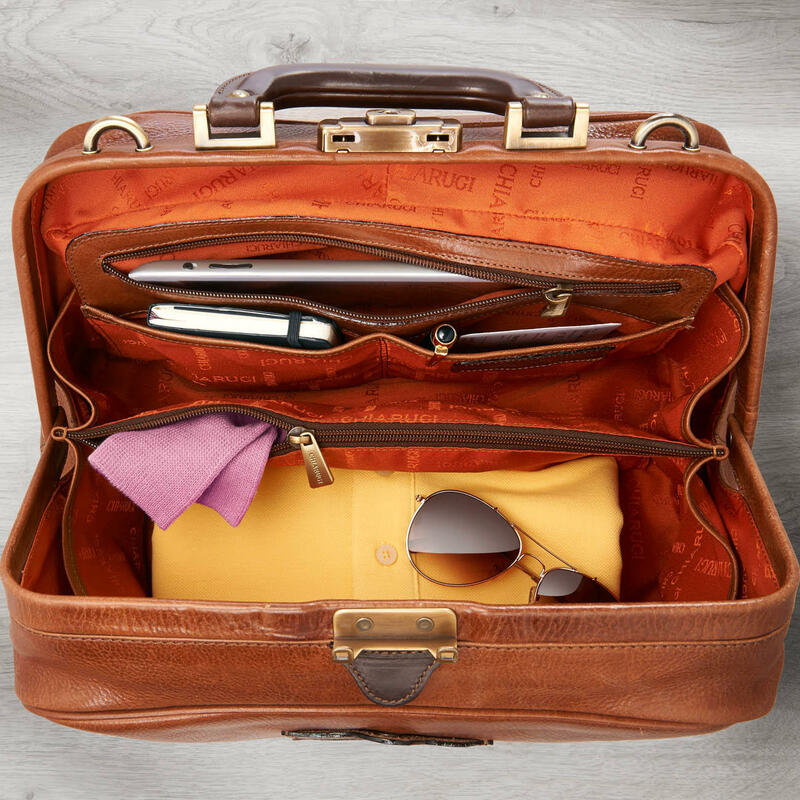 The stylish alternative to plain business bags. 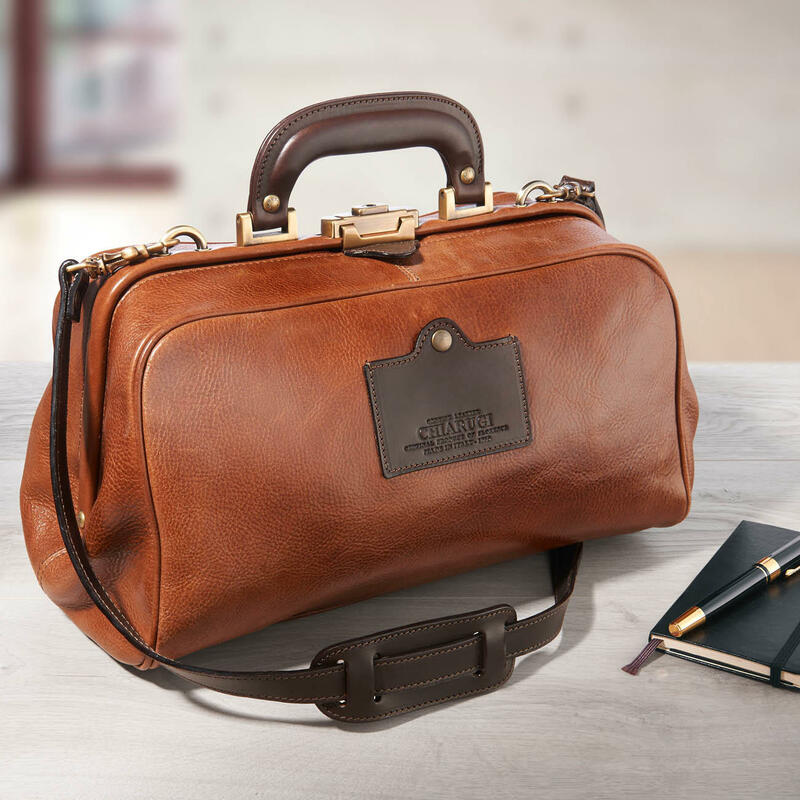 This type of bag accompanied many doctors throughout their entire professional lives. And some early examples are still loved and guarded as heirlooms. Now the Italian leather specialist Chiarugi has reissued its classic – exclusively to Pro-Idee. The attributes of the bag are still just as appealing as in the old days. High-quality and hard-wearing design. Made of 3mm thick, vegetable tanned and dyed calfskin. It bears the “Pelle conciata al vegetale in Toscana” certificate and still comes from the same Tuscan tannery as it did 48 years ago. Drum dyed instead of simply overdyed, the traces of nature remain. The sturdy leather “lives” and becomes only more beautiful and full of character with use. With well-organised inner: A zipped compartment divides the interior into two compartments. One zipped side compartment and 2 open slash pockets provide quick access to keys, tickets, smartphone etc.